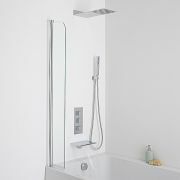 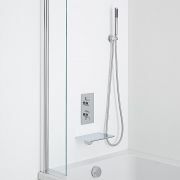 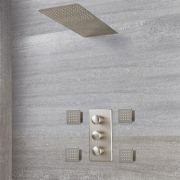 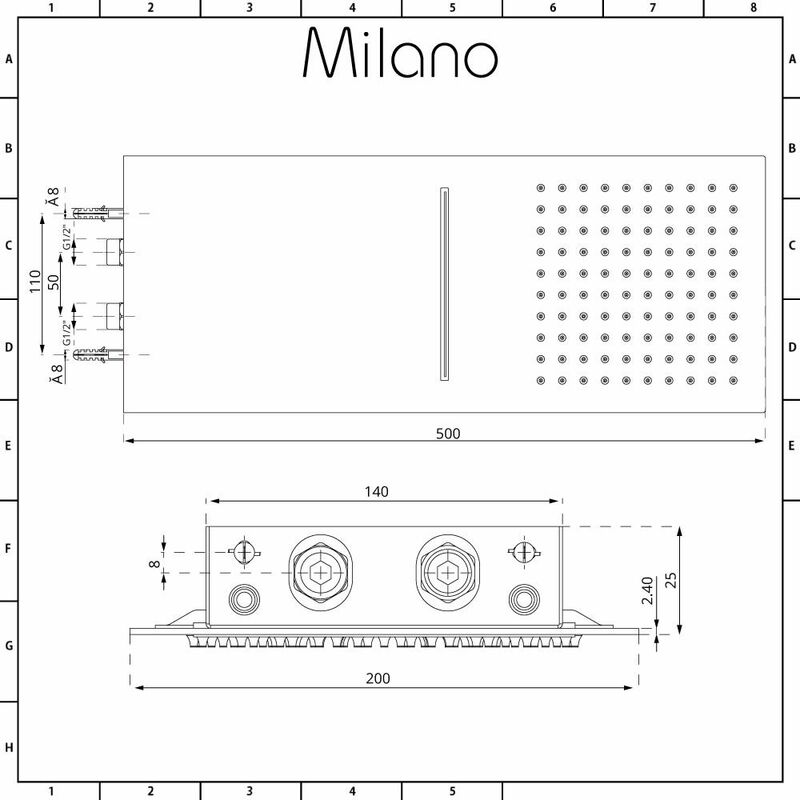 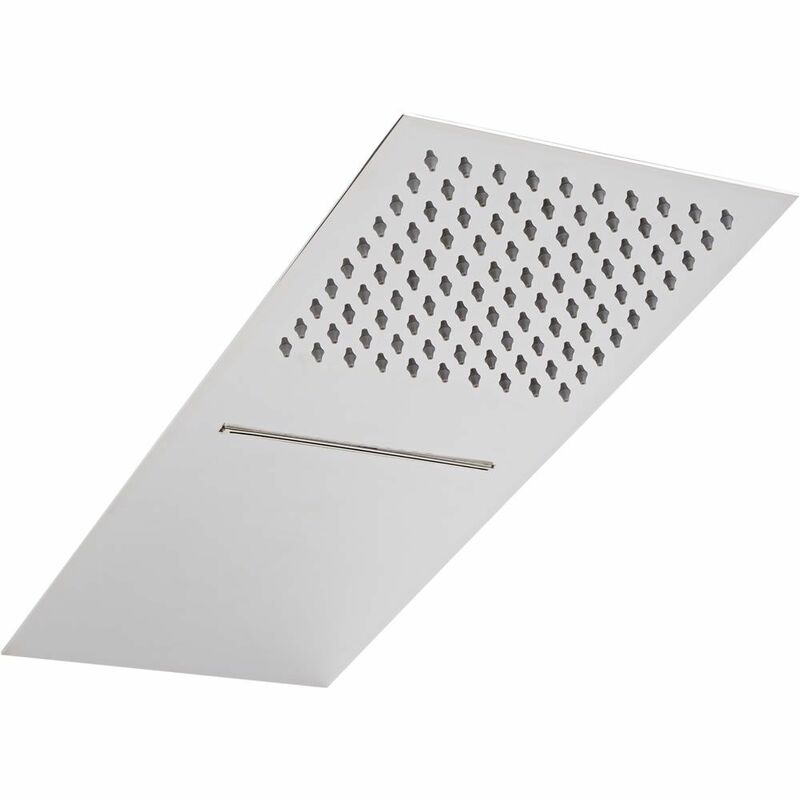 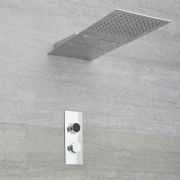 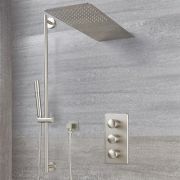 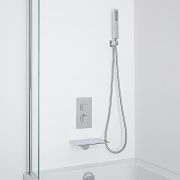 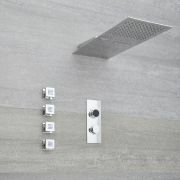 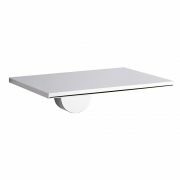 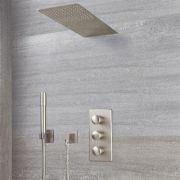 The Milano shower head with waterblade is a great option for adding sleek, designer style to your bathroom. 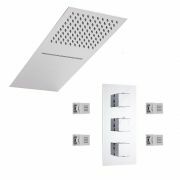 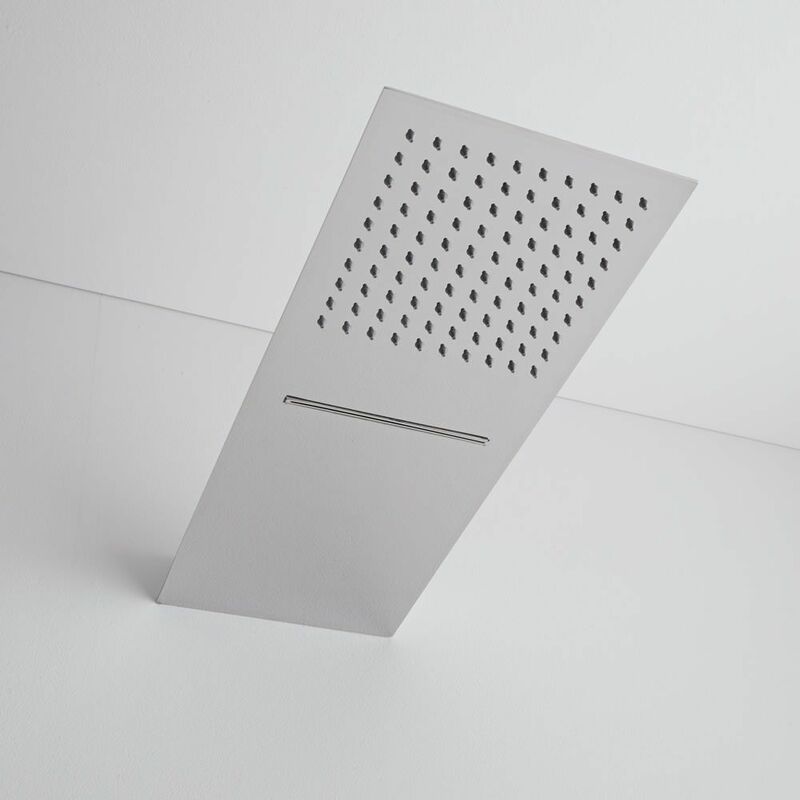 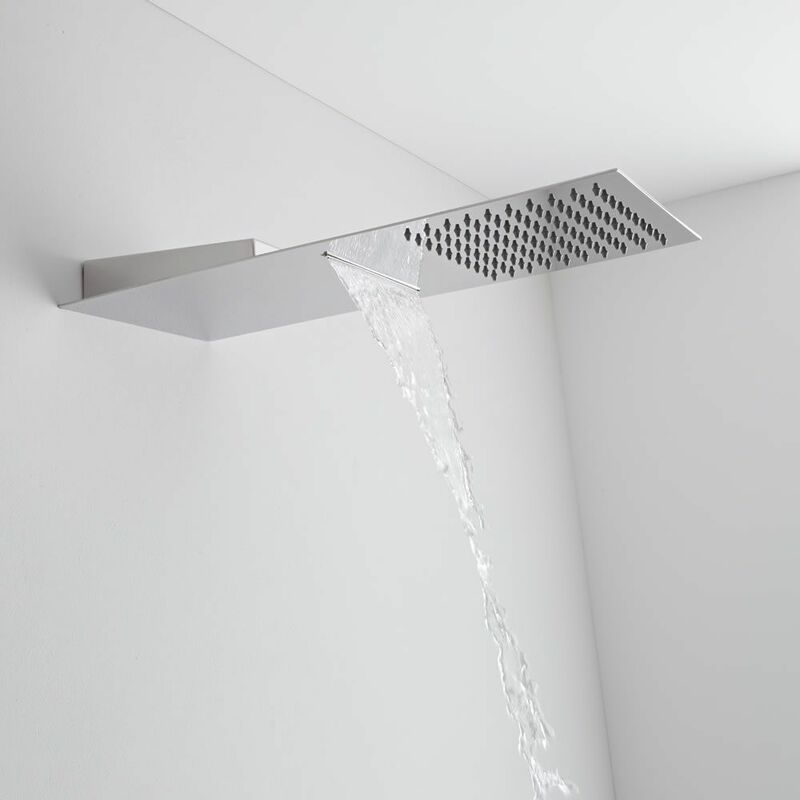 Made from stainless steel, this fixed wall mounted shower head incorporates two functions, rain effect or waterfall effect, both of which deliver a luxurious showering experience. 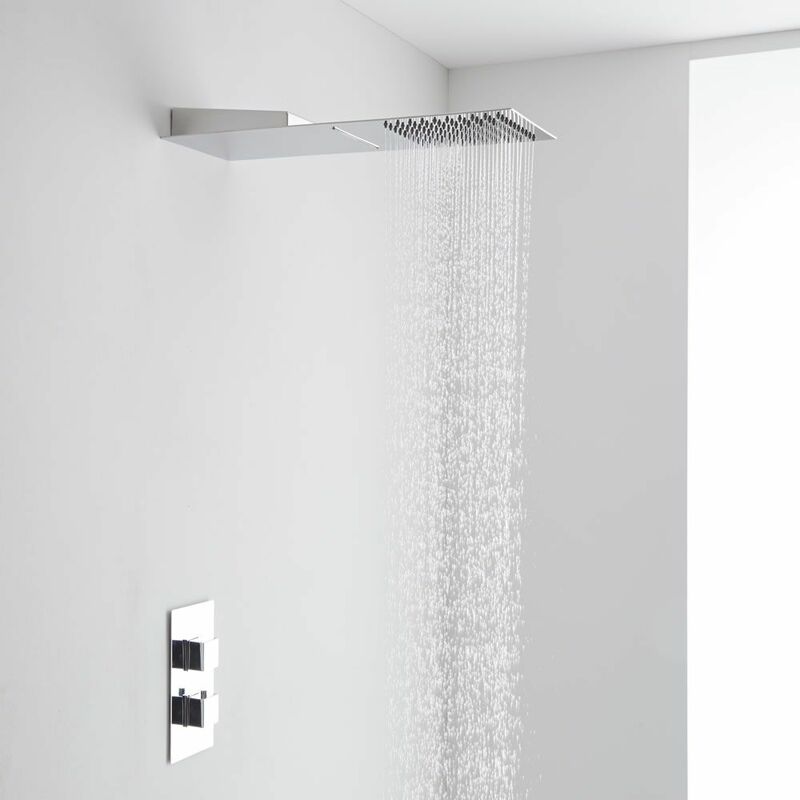 Featuring easy to clean silicone nozzles and an ultra-thin design, this shower head is suitable for use with a twin shower valve with diverter or a triple shower valve.